We heard Damon Corn speak about dividends paid in his life as a result of the investment First Baptist Decatur and its members had made in him and the Decatur Community. Now I want to speak to you about another financial concept, return on investment. 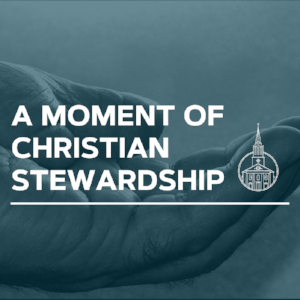 Particularly, I want to speak with you about the returns I have received since investing my time and resources into this church and the Decatur community. In December of 2011 I walked through the doors at the back of this Sanctuary on holiday music Sunday just before Christmas. I can recall being greeted by Scott Pyron and sitting in the back near some nice women who introduced themselves. I can remember those women telling me that I needed to come back the next week so that I could hear Pastor Julie preach as she was a phenomenal preacher. I did return that next week and have continued to return for the nearly seven years since then. What is important to understand about that time in my life when I first got up the courage to walk through the doors of this church is that I was what I would describe as spiritually broken. I was going through a period of underemployment after finishing graduate school earlier that year and approaching the anniversary of a time when I had suffered multiple pregnancy losses in a matter of months. I had lost faith and came here seeking the hope that seemed so far away from me in that time. What I found in this church was a community and small groups where I could rediscover my faith and a theology that helped me to be grateful for what I had rather than mourning what I didn’t and a call to step outside of my own sorrows to try and do something positive for others. So very early on I committed to a habit of giving to the church. As I said, I was underemployed and couldn’t afford to give much, but I settled on a number that I knew I could give consistently and did so. When I found full-time employment I increased that giving as I have with each subsequent raise or promotion. The next thing I did was to begin volunteering with conversations ministry and then with the Children’s ministry for Wednesday night missions bible study and eventually the Sunday pre-K bible study class. I have even served as a Deacon here. I have been investing my time and resources into this church and Decatur for some time now, and the returns I have received are considerable. My career has thrived and I even completed my doctoral degree last December, but I have maintained perspective about those achievements and any financial gain due in part to what I have learned at this church about what is truly important in this life. Thanks to the enormous amount of time I have spent getting to know and love so many of the children in this church as I volunteered with the Children’s ministry God had an opportunity to work on and open my heart. My husband and I became approved foster parents in the state of Georgia this past spring and almost a month ago we had our six-month old son KJ placed with us. We are planning to adopt him. The return on my investment in this church is evident in the peace and perspective I now possess and the beautiful little family that we have created which helped me heal from the heartbreak of years of unsuccessful fertility treatment and multiple pregnancy losses. Often when we give, we are not just helping others, but making room in our hearts for God to work on us in our brokenness. God allow our hearts and hands to be opened this morning so that we can give of ourselves in that name of working for your kingdom both in us and through us.